Enlarge the place of thy tent, and let them stretch forth the curtains of thine habitations: spare not, lengthen thy cords, and strengthen thy stakes. For thou shalt break forth on the right hand and on the left; and thy seed shall inherit the Gentiles, and make the desolate cities to be inhabited. 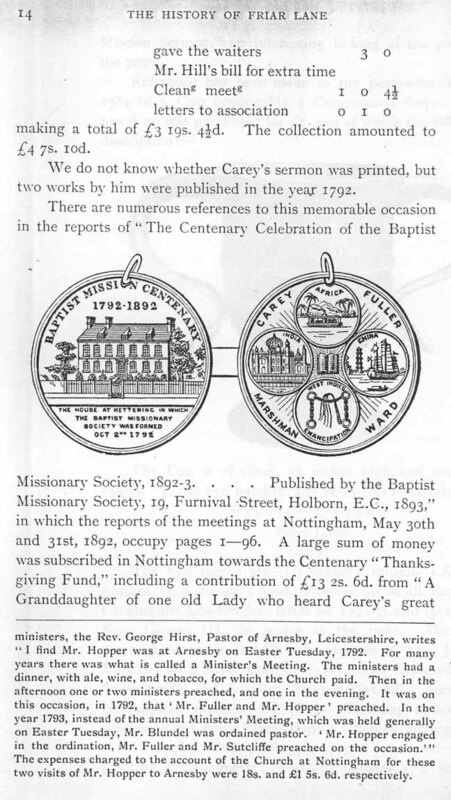 In this sermon to the Northamptonshire Baptist Association, Carey called on his Baptist colleagues to enlarge its tent through missionary outreach to the heathen. 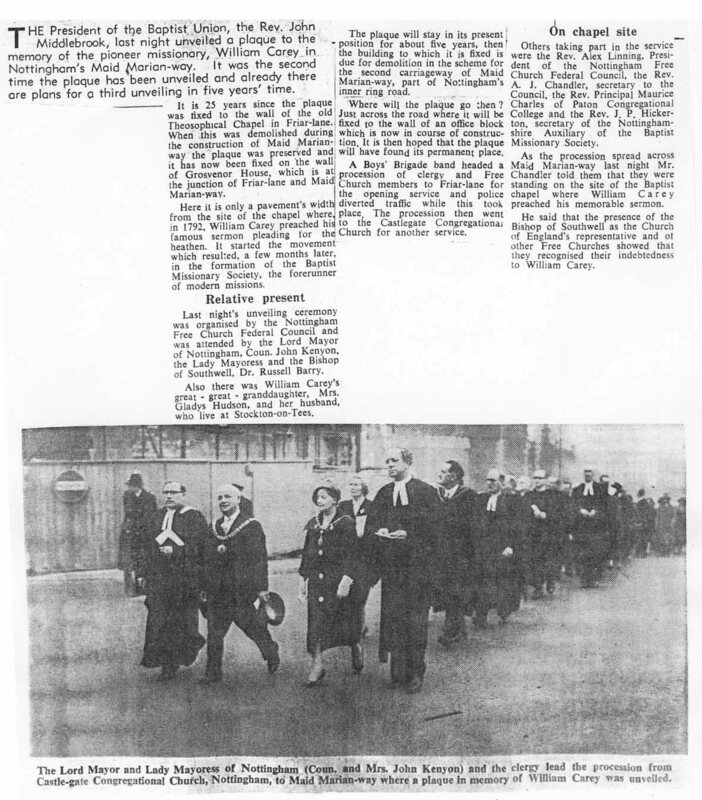 With this sermon, the catalyst for the establishment of a Baptist mission society became an actuality. 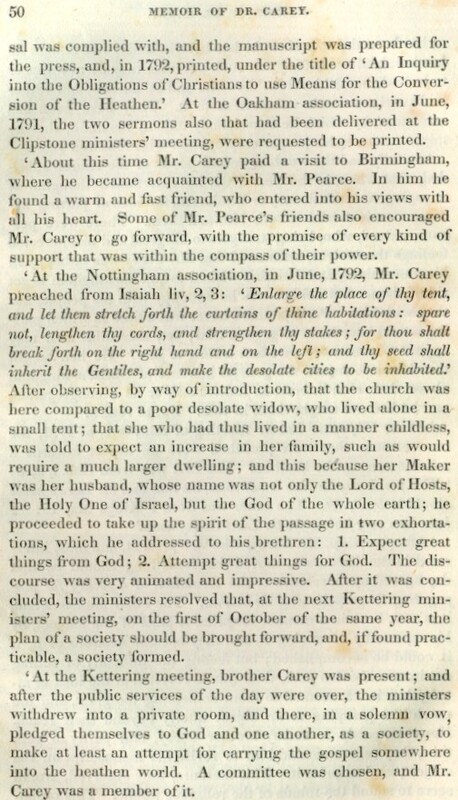 Earlier in the spring of 1792, Carey had published his pamphlet An Enquiry into the Obligations of Christians to Use Means for the Conversion of the Heathens (Leicester: Ann Ireland, 1792), in which he presented an argument in support of Christians' duty to promote missionary efforts to peoples who had not heard the Christian message. In 1836, Eustace Carey said of his uncle William and the sermon, "he proceeded to take up the spirit of the passage in two exhortations . . . 1. Expect great things from God; 2. Attempt great things for God." 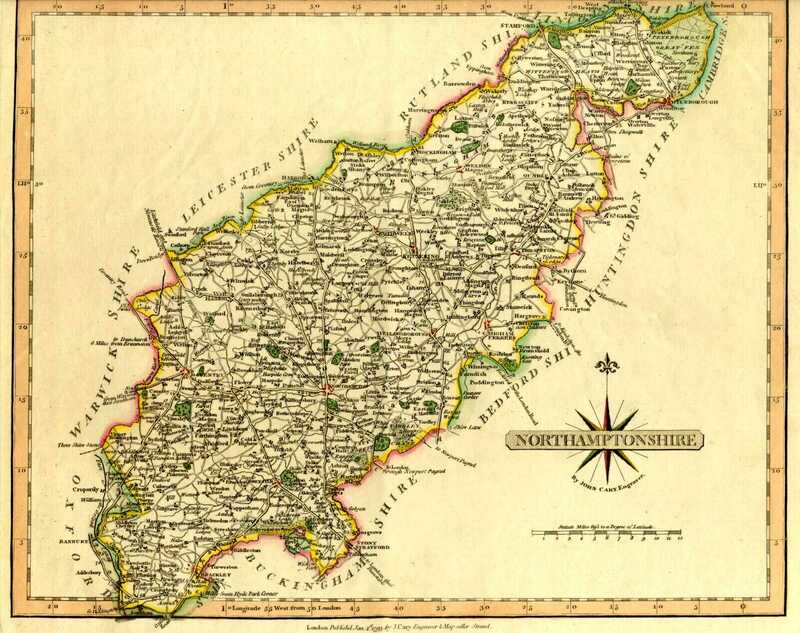 For the minutes of this meeting, see "Minutes of the Northamptonshire Association, Assembled at Nottingham, May 29, 30, 31, 1792," in The Baptist Annual Register, for 1790, 1791, 1792, and Part of 1793, ed. 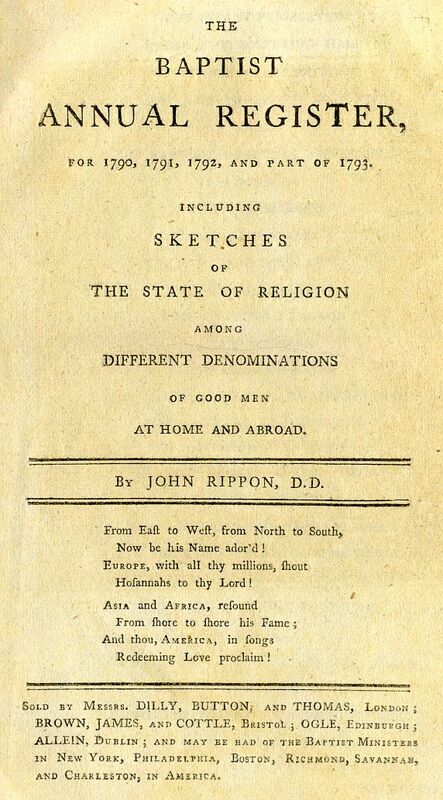 John Rippon (London, 1793), 418 (record of sermon), 419 (record of plan to establish a missionary society). 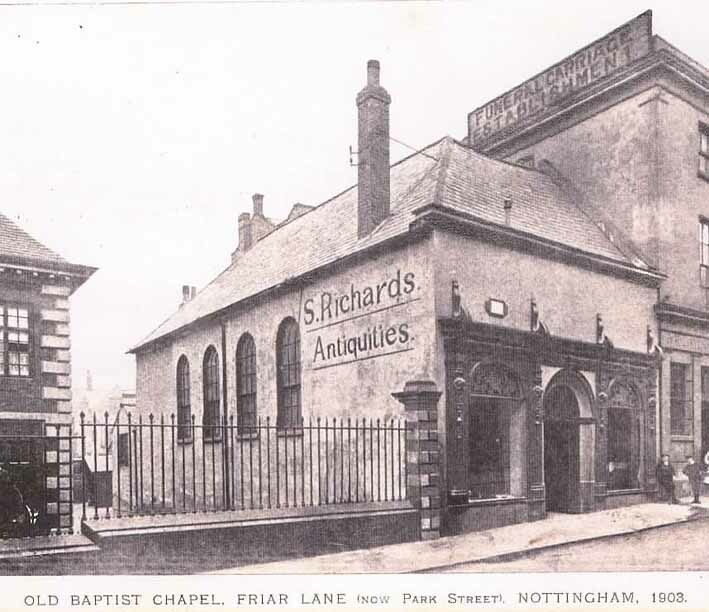 The history of the Friar Lane Baptist Chapel building holds its own charming story. Now destroyed, the site where the chapel sat originally was home to Baptists as early as the mid-17th century. 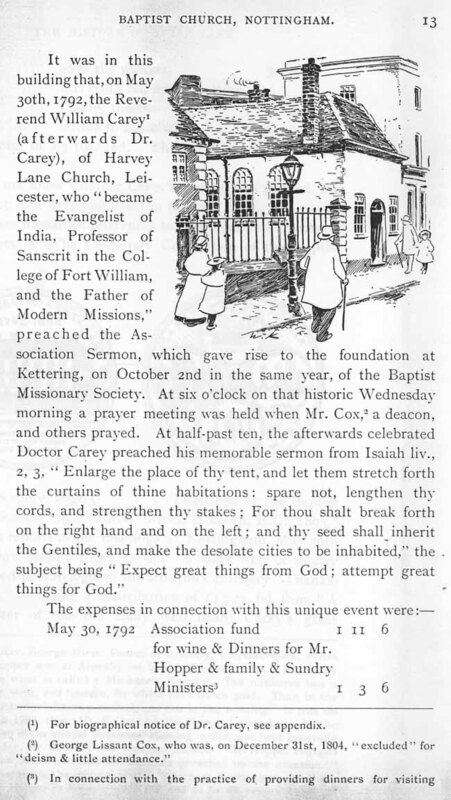 By 1724, a Baptist layman, George Eaton, purchased the building for ₤100. 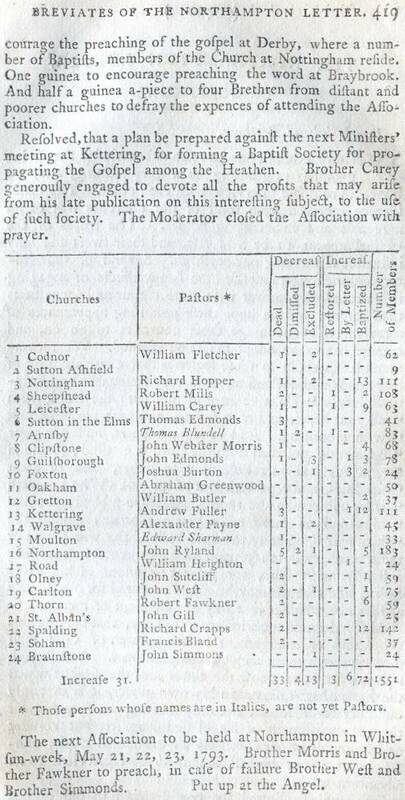 Later in 1776, the building was enlarged at a cost of ₤175 in order to accommodate the growing numbers of Baptists in Nottingham. 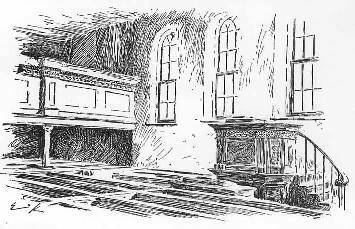 The last service the Baptists held in the chapel occurred on August 13, 1815; there number included 201 people who moved to a chapel in George Street. 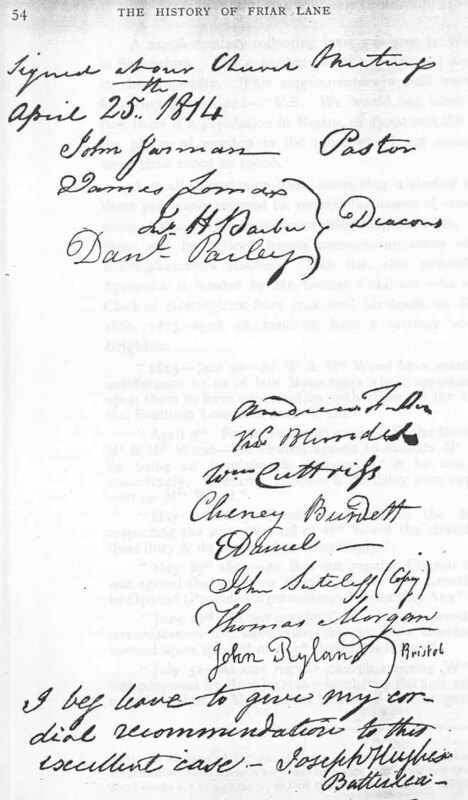 The Scotch Baptists purchased the Friar Lane building. 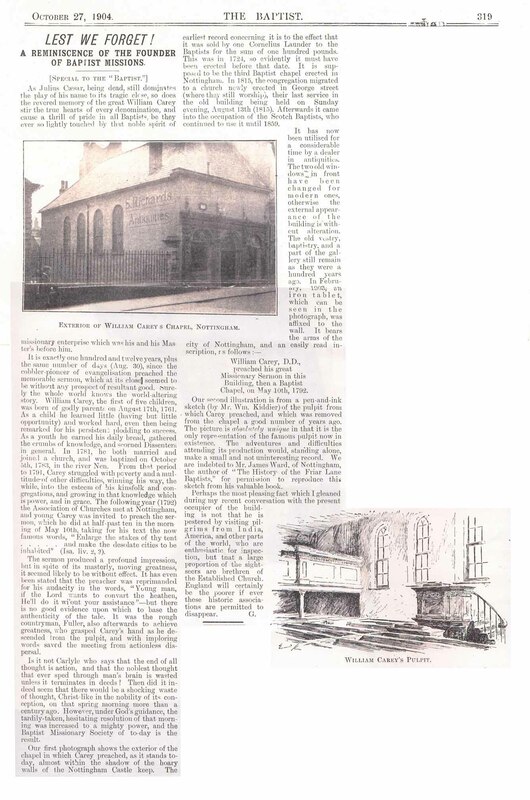 In the late nineteenth and early twentieth centuries, the building continued to be used as a meeting house for Baptists, and it came into use as a shop for an antiquities dealer. 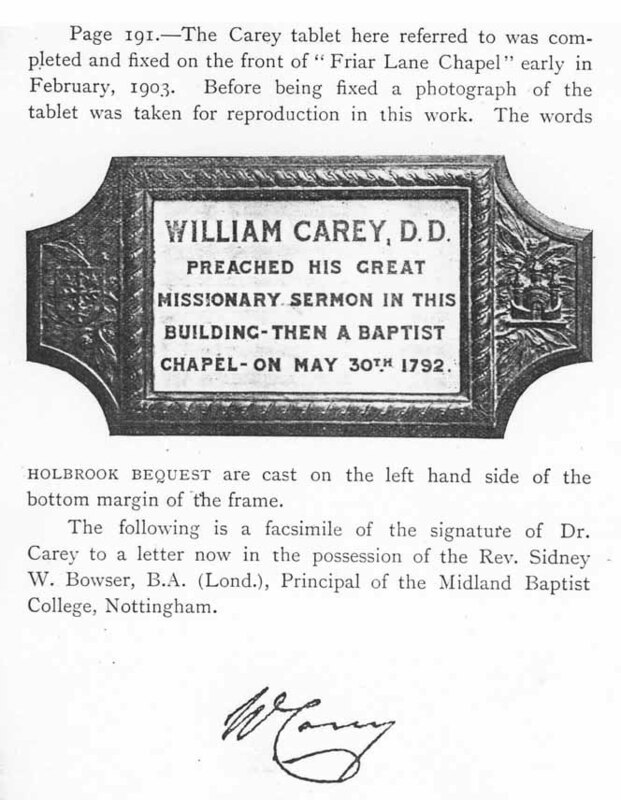 In February, 1903, an iron plaque was affixed to the building as a reminder of William Carey's sermon that changed Protestant Christianity, and all Baptist worship stopped on the site by 1906 when the building was on the verge of collapse. 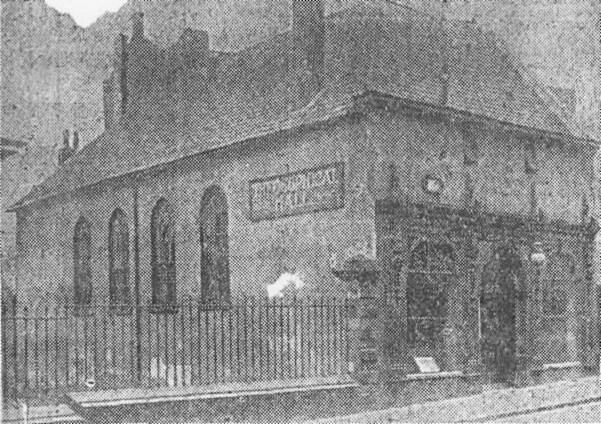 In 1931, a Theosophical Hall opened on the site, and the iron plaque remained. 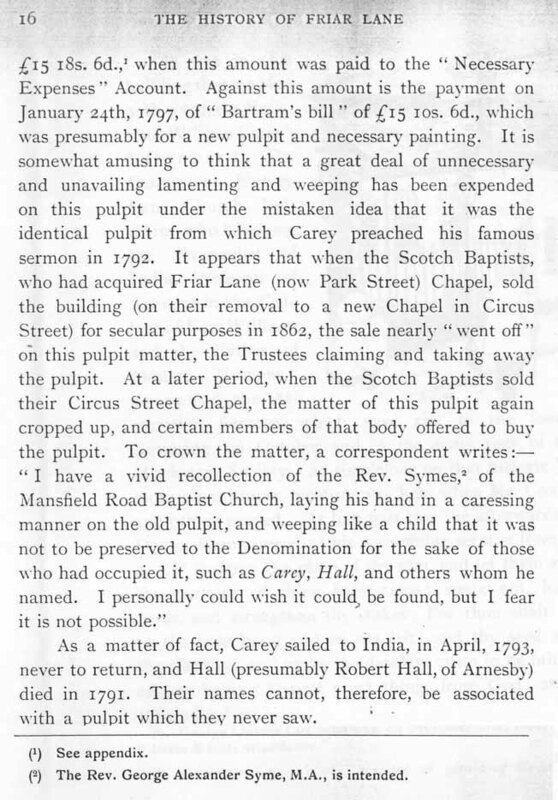 Twenty-five years after the Theosophical Hall was demolished, there was a second unveiling of an iron plaque commemorating Carey's famous sermon. 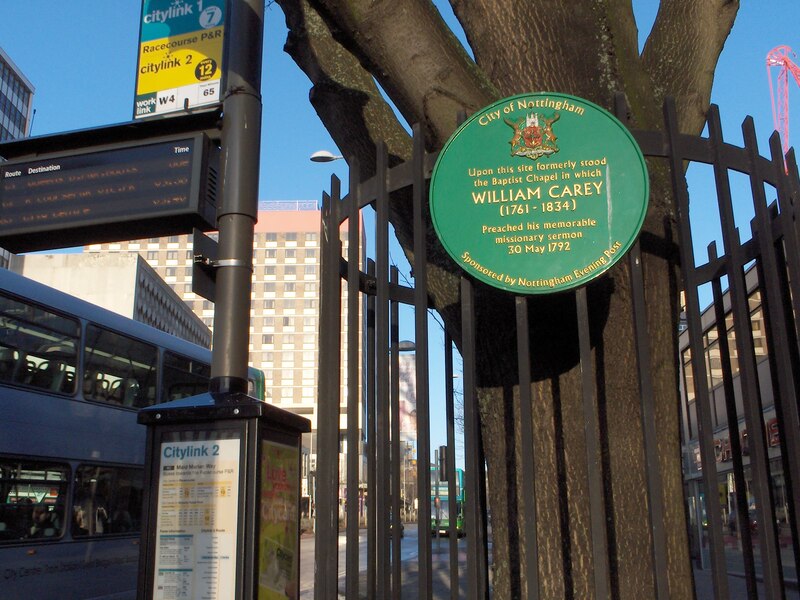 A photograph of the plaque (in 2009) erected by the City of Nottingham on Maid Marian Way shows the contemporary site where Carey gave his sermon on May 30, 1792. Following below are news articles from a variety of sources. 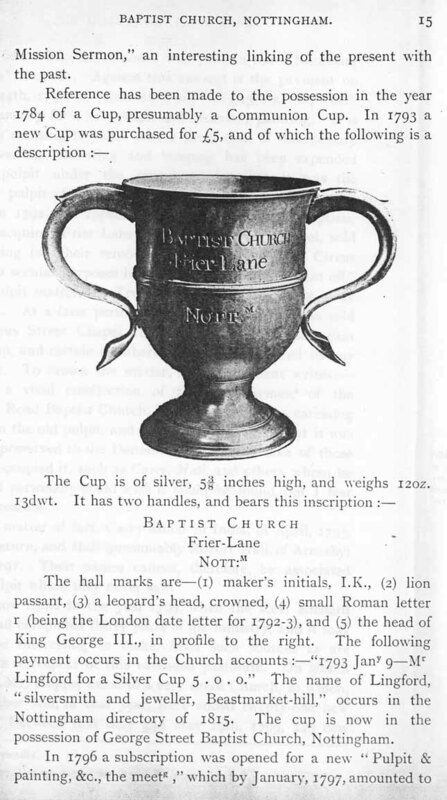 These articles and images offer details of the Friar Lane Baptist Chapel and its significance for the life and work of William Carey. "Lest We Forget! 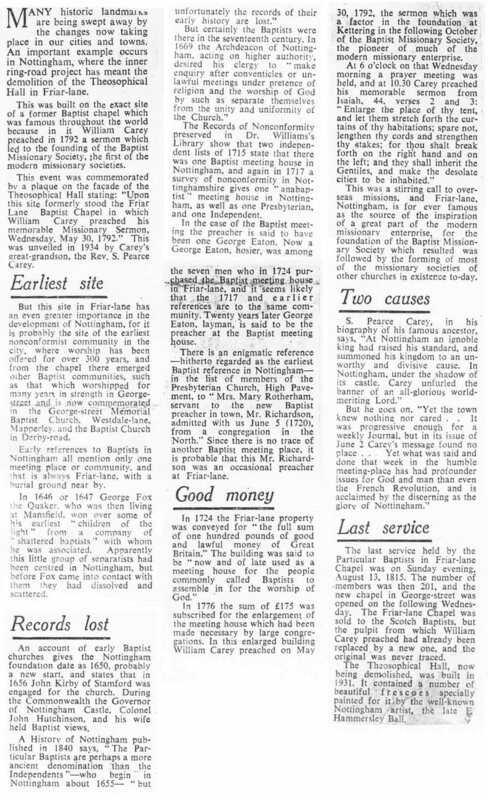 A Reminiscence of the Founder of Baptist Missions"
Ronald Ellis, Derby, England, for his work in retrieving and scanning images from the Nottingham City Libraries. John Thomas Godfrey and James Ward. 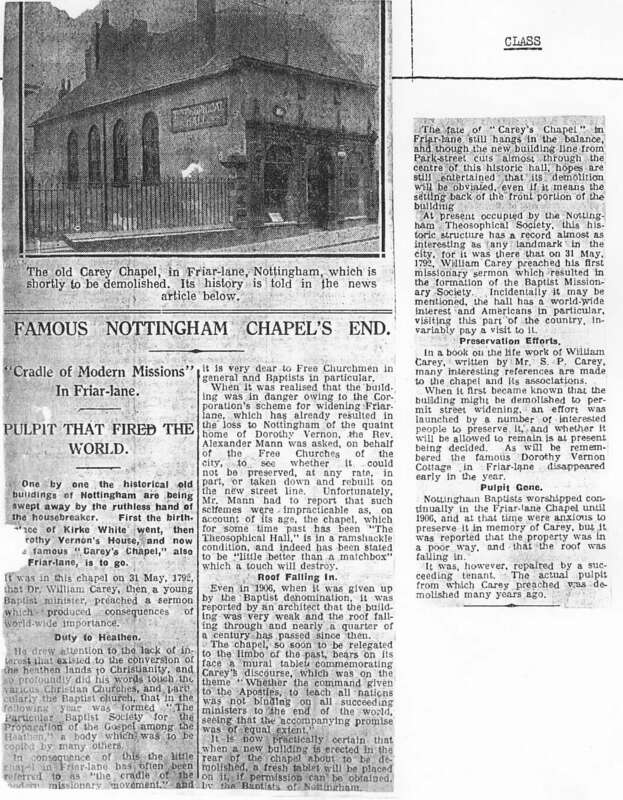 History of Friar Lane Baptist Church, Nottingham. 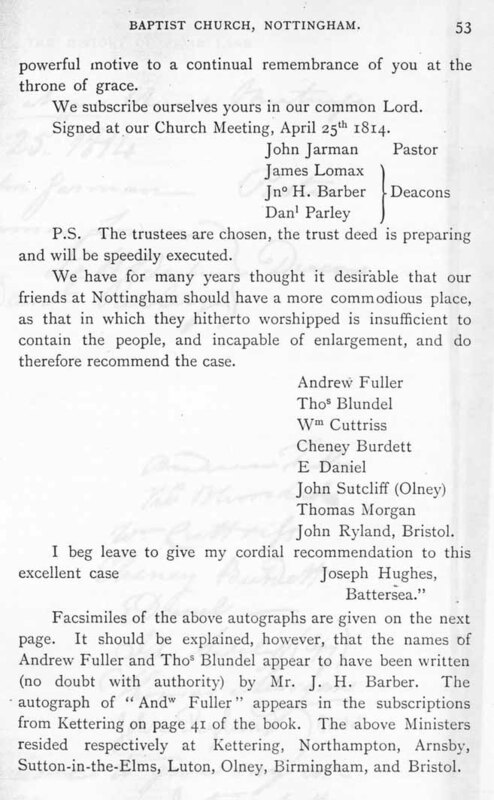 Nottingham: H. B. Saxton, 1903. 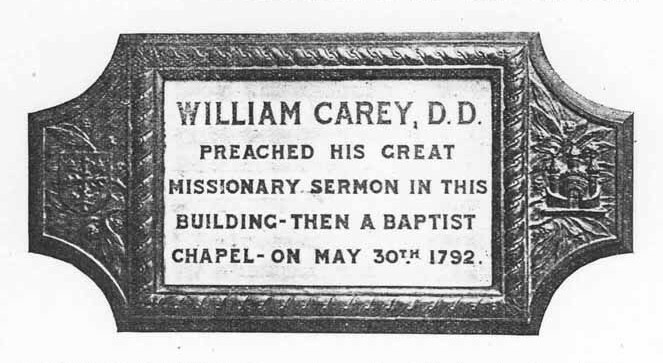 Discussion of William Carey and his "Deathless Sermon"